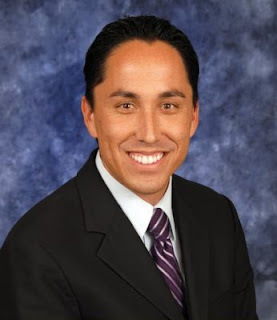 As those of you that have followed my posts recently I haven't been a fan of Todd Gloria. He makes me believe that apparently it's 1996 and that Republicans still control the city and the Dem victories of 2012 are some sort of fluke and we must kowtow so that when the natural order of a GOP led council and mayor returns to San Diego at least he'll get some sort of thanks for keeping the other Dems at bay. At least by what he's been doing since becoming Council President, that is what he has lead me to believe. That or he's cut a deal with the GOP but again I refer you to my previous post. But today I am blown away by what happened during a City Council Committee hearing that took place earlier in the week. Now granted this was a PS&NS (Public Safety and Neighborhood Services) Committee Hearing and not even the Voice of San Diego covers those but if they did on June 5th they would have gotten this nugget. Now I guess John Lamb from City Beat has now posted this as well which is great but so far not a peep from anyone. Anyway, I wonder how Todd will spin this one? (Maybe by calling Will Moore a liar.) I mean he'll arm twist the pro bono legal advisor to the local Democratic Party but will play footsie with Mark Kersey and flaunt him all round town?